New Zealand’s political and business leaders and visiting diplomats have paid tribute to the members of the Indian business community, describing them as hard-working and resilient. They were speaking at the Eleventh Annual Indian Newslink Indian Business Awards Presentation Ceremony held on Monday, November 26, 2018 at SkyCity Convention Centre, Auckland City. Prime Minister Jacinda Ardern said that the presence of the Leader of the Opposition Simon Bridge, several Ministers including Grant Robertson (Finance), Carmel Sepuloni (Social Development), David Parker (Export Growth & Trade), Stuart Nash (Police), Jenny Salesa (Ethnic Communities) Auckland Mayor Phil Goff, Indian High Commissioner Sanjiv Kohli, New Zealand’s High Commissioner to Fiji Jonathan Curr, Consul General and Trade Commissioner Australia and New Zealand of Fiji based in Sydney and 15 other MPs, indicated the importance of the contributions of the Indian business community to the progress of the New Zealand economy. “It is a pleasure to celebrate the outstanding contributions of businessmen and businesswomen of Indian origin. It is also a pleasure to see that the Indian Newslink Indian Business Awards is growing from strength to strength and getting bigger and better every year. The fact that the Awards Programme has 15 categories this year is a testament to the dedication and hard work of the Indian business community,” she said. “This Awards ceremony is a wonderful reflection of the diversity of our country, which Kiwi-Indians share. 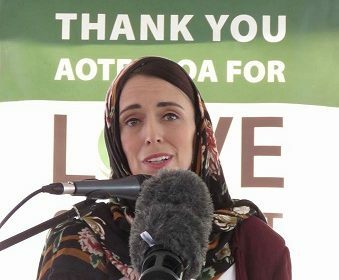 We are grateful for your commitment,” Ms Ardern added. Describing his presence at the event as ‘a fantastic privilege,’ Leader of the Opposition Simon Bridges said that he was delighted to see a ‘very large gathering’ of dignitaries and businesses. “This is not just a premier Indian Business Awards Night but a Premier Business Awards of New Zealand with the cream of the cream businesses present. There are so many of you here to testify that; and it is great to see the excellence that is manifest, demonstrating the hard work, perseverance and innovation that you have invested,” he said. Mr Bridges said that he understands the importance of the contributions of the Indian business community, which make New Zealand economically and socially diverse. “We want you to scale greater heights with the support of the government but at the same time we want you to do it yourself with the government getting out of your way. Tonight is your night, it is a night of your success and the recognition belongs to you,” he said. Auckland Mayor Phil Goff said that he held the proud record of attending all the eleven Awards Night Ceremonies of the Indian Newslink Indian Business Awards Programme since it was established in 2008 and that he has been a friend and reader of Indian Newslink since it was launched on November 15, 1999. 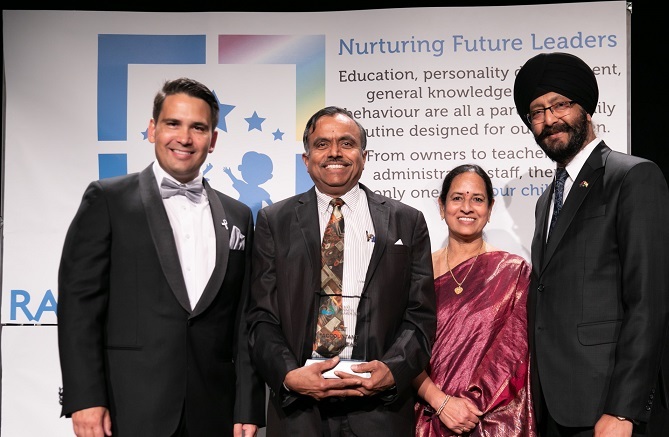 “Indian Newslink is not only a quality newspaper but also an important contributor to the communities with its annual events including the Lecture Series, Sports and Community Awards and the Business Awards,” he said. Mr Goff congratulated all the finalists and winners of various Awards but made a special mention of Legal Associates and its Partners Raj Pardeep and Ashima Singh, winners of the Supreme Business Award and Business Excellence in Marketing Award (in addition to the Best Young Entrepreneur of the Year Award and the Indian Newslink Commemorative Award won by their Barristers & Solicitors, respectively Haseeb Ashraf and Shyama Sharma). “We have seen incredibly talented people and their real commitment tonight. Everything they do in the wider Indian Community is commendable and we are grateful for their contributions to our country and to our city,” he said. Social Development Minister Carmel Sepuloni (hidden) takes a selfie to the amusement of (from left) Zarak Khan, Jonathan Curr, Sanjiv Kohli, Phil Goff, Stuart Nash, Jacinda Ardern, Simon Bridges and Jenny Salesa.